Mary Arlene (Ellsworth) deSousa, 81, of Tampa, Florida and formerly of Albany, New York died on June 7, 2016 in the intensive care unit at Florida Hospital in Tampa, Florida, after her stay in the Excel Rehabilitation And Health Center also in Tampa. Mary, known as Arlene throughout her entire life, was born the first child of Marcella (York) and William E. Ellsworth on August 26, 1934 in Albany, New York. She was educated in Albany and attended Albany High School. She exchanged vows with Mario Angelo deSousa in 1964. They were married with close family and friends in attendance. Sadly, Mario passed on November 16, 2012, after forty eight years of marriage. Arlene worked diligently for twenty nine years in the New York State Retirement System to successfully become its Executive Leader before retiring in 1986. She enjoyed vacationing in Provincetown, Massachusetts and touring the United States with her family members and best friend, Lorraine Symanski. Arlene was a giver of time. She was President of the Colonie, New York Women’s Republican Club, Secretary of the Federation Union of New York State and the Director of the Albany, New York Women’s Bowling Association. Arlene and Mario retired to Zephyr Hills, Florida and then to Land O’ Lakes, Florida. She recently resided in the Renaissance Tampa Senior Center where she enjoyed working with many resident committees and spending time with her friends. She was a generous soul and will be greatly missed by her very large family and circle of friends. Mrs. deSousa is survived by her sons: Charles Oropallo and his wife Susan, William Oropallo and his wife Lynne, Christopher Oropallo and his wife Holly and Peter deSousa and his wife Jacqueline. She has many loving grandchildren who shared a very special relationship with their grandmother and many great grandchildren who loved to visit their great grandmother in Florida. In addition she leaves extended family and friends. 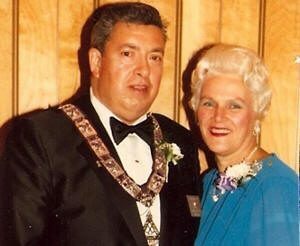 Arlene was pre-deceased by two of her children: Marcia Oropallo and Daniel Oropallo. Her twin brothers Francis Ellsworth and Edward Ellsworth also passed earlier. A mass with Christian burial rights will be held on Saturday, June 18, 2016 at 9:00 am in the Blessed Sacrament Church, 605 Central Avenue, Albany, New York 12206. Burial will follow at the Albany Rural Cemetery, 48 Cemetery Avenue, Albany, New York 12204. This entry was posted in Obituaries and tagged Albany NY, Albany Rural Cemetary, Arlene deSousa, Blessed Sacrament Church, Charles Oropallo, Christopher Oropallo, Colonie NY, Daniel Oropallo, Edword Ellsworth, Francis Ellsworth, Holly Oropallo, Jacqueline Oropallo, Keene NH, Land O Lakes FL, Lynne Oropallo, Marcia Oropallo, Mario deSousa, Newton MA, Peter deSousa, Provincetown MA, Salvation Army, St Judes Childrens Hospital, Susan Oropallo, Tampa FL, William Oropallo, Zephyr Hills FL. Bookmark the permalink.